All Fights will take place here. I now sit among the upper ranks of elite spiritual beings. Now possessing an enormous amount of spiritual power, performing an extended number of high level techniques becomes completely possible. Even using mid-level techniques feels almost inconsequential now. Furthermore my power can be felt over great distances even when slightly restrained, and with enough control I could even cause moderate harm using my reiatsu alone. I have no reached a level of power appropriate for spiritual beings. As such, the idea of being super human is no longer a question, it is a reality. I could seriously hurt those weaker than me without even trying, while those of similar constitution would take care not to eat too many of my attacks. Those above me would have to think twice about taking something like a raw punch. Throwing something as heavy as a cow could be effective in combat, while my attacks could punch through even thick concrete. I've reached average durability of the souls inhabiting the Rukon districts. Still quite as capable of taking damage as an Academy graduate, but capable of taking a few blows of moderate strength before falling. I exist at in the middle of the road in terms of conditioning. Trying to last for extended periods of time would prove difficult as exhaustion would surely set in before long. A decent level of high intensity action wold feel draining unless I could take a moment to catch my breath. I can fully control up to D reiatsu; completely hide up to E+; partially control D+; cannot control C or higher, unless I use a special device. Reiatsu channeling is somewhat accurate, but lossy and weak. Reiatsu A+ and up: Reiatsu channeling is inaccurate and very lossy. While still unlikely to engage in bladed combat, Il have learned all the basics and can confidently apply them, with occasional variation. I have trained enough to be able to think on my feet to an extent. Outside of what I have learned and practiced, however, I should still be cautious or risk getting caught in a bad situation. While still unlikely to engage in hand-to-hand combat,I have learned all the basics and can confidently apply them, with occasional variation. I have trained enough to be able to think on their feet to an extent. Outside of what I have learned and practiced, however, I should still be cautious or risk getting caught in a bad situation. In addition to the abilities and skills of normal masters, those like me that have achieved beyond have also proven themselves capable of leaving afterimages behind in the wake of their high-speed movements. This often makes disguising their whereabouts and confusing slower opponents easy. 3rd ability unlocked, 2nd mastered. I as I am now, I sit in a realm thought to be the pinnacle of spiritual power. This power is so immense that even Captains feel small by comparison. Titanic would be the best to describe my spiritual strength, where even high-level spells feel almost inconsequential to use. At this point, my full power would be oppressive even to those at a great distance. It would take significant suppression efforts to prevent my presence from being known to all as soon as I appeared on scene. With enough control my reiatsu alone is could used to near lethal effect when focused, without control my presence alone is enough to cause significant harm to anyone unable to resist it. Unfortunately I sit a level indicative of someone who does no physical conditioning and not much of anything else. I could be described as physically frail. Moving anything other than myself is a struggle. An attack using strength alone might knock down someone who is much smaller, but the damage would be minimal. Throwing objects in combat, while still being able to cause harm would be limited to something like a fist-sized rock. I've become a being of considerable resilience. A hardened soldier of the capable of surviving significant blows from all kinds of beings. Though still below sitting just below the elite,I remain a hearty individual to be sure. I could probably use a bit more cardio in my work out, since I'm a little below average in terms of endurance. Trying to last for prolonged periods of time in high intensity situations would be tiring. I'm pretty sure I'd pass out if that happened. I can completely hide up to S+ reiatsu. Reaitsu channeling can produce full strength blasts with long range, using much less reiatsu in making them. Blast strength is perfectly controlled. Double Casting: can cast the same kidou at two targets at once. Twin Cero -- one Cero per hand, both at Normal Cero power. Twin Full Cero -- one Cero per hand, both at fully loaded Cero power. Cero uses much less reiatsu to make; strength is perfectly controlled. Cero techniques may be modified on the fly with full effect and are always stable. At this level I exhibit a total lack of knowledge and or skill. I have no idea I am doing. Any attack I do would be based on instinct and guesses. At best swings are imprecise and leave many openings for counter-attacks, parries, and the like. Even a solid impact might knock the blade from the my hand. It's almost a wonder that if I would be capable of buttering toast. Of course, someone a bit more knowledgeable would use a butter knife. At this level, I show a total lack of knowledge. I have no idea what I am doing. Any attack would be based on instinct and guesses. If a punch or kick landed, I would not be prepared for the impact and might sprain or break something. A miss would leave me off-balance or on my face. When only using this art, a return attack will almost always cause damage, because I wouldn't know how to defend myself. Hand-to-hand could still be used in desperation, but the damage to myself is likely to be as great as, or greater than, the damage to the opponent. Assuming the I can even land a hit. As I enter expert territory, my mastory of the technique allows me to be considerably fast, even vaguely reaching super sonic speeds. I can maintain high speed movements for long periods of time. While not as fast as a master, I can keep up quite effectively to an extent. Additionally at this point, my application of the technique is highly advanced. Distrustful and dangerous, two words that could very well describe mildly a man of sorts currently walking through the hallway of this devilish and hellish structure meant to test even the mightiest of all races. Hellish indeed but even hell itself required its demons and this was a place to find them for every fighter crazed enough to step foot in a place such as this, is crazed enough to do anything. Loud and deafening were the cheers of the crowd who couldn't contain their lust for the war and gore that was to come, the "entertainment" in their eyes was death in the eyes of those involved. Just a few feet away from entering the arena, the man with such a horrific past behind him tucks both hands into his pocket while controlling his massive spiritual wealth to the point of allowing just barely over half of it seep out of his person. The deafening screams of excitement from the crowd grew even larger than what it was just a few moments ago before dying and abrupt death at the sight of the combatant stepping into the arena, screams and cheers turning into silence and awe at who was before them,at WHAT was before them. Deafening cheers turning into silence now followed by minor whispers flying from the lips of everyone culminating in an array of noises understandable to none, perhaps the emergence of a crocodile was not expected even in a place such as this. Settled within hidden chambers with fingers running along wooden beads and legs patting the sandy floors goodbye, a lingering presence made its way to the entrance reciting a prayer he had made for himself in silent meditation as if trying to keep calm. Do not dwell in the past, do not dream of the future, concentrate on the present and conquer the demons within . This he continuously reminded himself with his hazel eyes reflecting the image of a beast starved his right to blood. Clad in brown monkish robes, a pair of black sandals, and thick blue lined tabi, the bald monk known to many as Kin Ryuu, walked into the arena carrying nothing but his wits, guts and a pair of custom made beads lying loosely around his neck and wrist. His form had become unstable as the lack of his staff had made him more incomplete than he would want to admit. Stepping foot into the field of gladiators, his presence quickly bared heavy on the eager crowd raising tension to warm the day. The once mellowed spectators immediately lit up, cheering and coursing like they had never done before. It wasn’t any surprise to Kin that they had chosen to act this way seeing as they had attempted the same before. However, unlike before the cheers seemed to go on and on, with cups and sticks banged against metal bars while hands slammed against each other, welcoming the contestant in a grand applaud. Raising his eyes to meet the sunny rays in a demeanor unperturbed by the sudden cheers and screams, the bald monk stood steady, taking in the electrifying atmosphere in a fine display of measured breath control. In no distant time he was done, returning his eyes to ground level where they belonged. His robe calmly swayed against the wind with his beads rattling against each other. There was no time to waste and he knew that much. He quickly forged on continuing his movement like a man on a mission as he approached a figure not far ahead. In a sharp gaze, his eye sat bare on the lizard man who had been chosen to be his foe, standing over 6 ft tall with a motionless tail stationed behind him. His appearance showed no weakness and so did his demeanor and reiatsu which kin had felt miles away. Surprised by the physique of his opponent standing 50m before him, the monk felt a unique mix of excitement and fear swell up within him, prompting him to cut his prayers short as he cramped up his muscles, fixating his gaze on the triceps and biceps which popped bare for the eyes to see. Demon he instantly thought, with finger pressing down on his beads so hard one could almost feel it crack. His Hazel eyes quickly adorned a golden glow with golden reiatsu sipping into the air like a man sprinkled with fairy dust. "Whats your name" he demanded out loud with the wind around him forced to settle in sudden calm. A smile almost forcing it's way on Fuu the moment he picked up on a formidable reiatsu signature within the confines of the arena and moments later the man behind the scenes finally stepped onto the stage. The previously murmurings of the crowd transformed into an uproar of noise, cheering from the crowd and the banging of metal items against each other producing an unmistakable sound any functioning ear would pick up coupled with the rising sounds of the steady applauses from the crowd towards the new entrant. Fuu wasn't bothered by the new presence instead his eyes remained closed and arms abreast as he kept his reiatsu senses to the very maximum should his opponent wish to make any sudden movement or take any action but only a few seconds had passed before he could feel the man's eyes striking a piercing gaze at him before a Stern voice brought forth a question forcing him to action. "What's your name" in a rather demanding and loud voice made Fuu release his eyes from their darkness to catch a glimpse of the man standing not less than 50 meters from his personality, withdrawing from his resting position before taking a few steps towards the bald monk with a bead in hand, and the very dress which gave away his status at first glance still swaying gently against the wind and adorned beads rattling against each other with a flashing golden glow of reiatsu seeping out of the monk forcing a sudden calm. "What are you doing? Are you by any means trying to exact dominance?" was the very question Fuu threw at the monk as he counted his steps advancing at the bald man, his past had completely destroyed any ounce of compassion he had towards the shinigami, if the man standing before him knows he's a fellow shinigami or not mattered not to Fuu for now his anger began a steady rise. Now barely 40 meters from the bald monk with his hands dipped into his pockets, Fuu asks yet another question targeted at the monk I ask again, are you by any means trying to exact dominance?. A repeat of the first question but this time the crocodile would let every ounce of his spiritual wealth seep out of his being, every ounce of the dark green reiatsu seeping out of him to form a large humanoid version of himself forming just behind himself before he murmured into existence the words Quake, Akuma no shizukana jishin all the while swaying his tail, after a successful release of his blade Fuu let loose a violent pulse of energy through his feet into the ground, an action that would see the very foundation of this pit shaken to it's core with a shockwave powerful enough to shatter the very floor they stand on. Generating tremendous amount of wind from his previous action capable of sending anyone unable to withstand it flying into the wall, Fuu motions his hands out of their pockets before pulling them up in a fist, while taking the stance of a boxer guarding his upper body for the battle had just begun. Just as soon as he had questioned the man before him crawled out of his silence returning his question with a question of his “what are you doing?’ the man before him uttered causing the Shinigami to dawn on a slight pale expression as the individual moved against him closing in the distance between them. “What?” would have been his favored reply, however, still holding on to his patience with foot driving forward to match the pace of the incoming crock, Kin would only meditate the words ”dictate” as he considers letting lose the blessing of buddah on his arrogant foe. Observing with fiery eye the monk immediately came to feel the anger within his opponent’s voice as the words “I ask again, are you by any means trying to exact dominance?” stream out from his mouth this time portraying more base and high tone than the last. However, in comparison to what his eyes had come to see the tone the crock had chosen to use quickly faded to memories, leaving in its place an unholy manifestation of green aura. The wind immediately tipped to its birth, leaving room for nature to be questioned. Time itself became a verdict cause if time had no restrains on day and night, one could have felt day quickly turn to night. “How could this be?” the crowd screamed as they scampered and ran towards multiple directions leaving only the strong at heart fastened to their seat, finger biting with shaking knees and dilating pupil. Kin on the other hand stopped at his track with eyes slightly arched to meet the skyscraper figure of the man before him. Amazing he thought with its existence baring heavy on his shoulders while the wind pulled against him, threatening to send him flying into the walls. Raising his left hands across his eye to guard against harmful rocks, Kin would peer though the wind only to find his attempt to keep steady feet threatened by the trembling earth. “Enough” the monk would utter releasing his golden reaistsu to pierce the gentle clouds, dispersing the violent wind again. His sight would quickly catch a glimpse of the collapsing earth and the dust clouds heading towards his direction. Feeling the magnitude and power behind such vibration, the bald monk would find his position compromised, causing him to hop backwards in random strides with eyes locked on the crock as he pulls hand out of his pocket. Where does it end?, he mentally wondered, with random patterned hop sending him father away from his foe. Dictate Unmei no Bizu, the words would spring bringing calm to the brief moment of chaos brought on him. His rieatsu would descend from the clouds revolving around him like a thick blanket of golden flames, while his hazel eyes pierced across the field. 5 marble balls the size of a grown human’s fist would also manifest above his head with each Marble baring a symbol and a number (#1 to #5) which would show only the first orb adopting a golden glow. However, just as soon as he had released in full, the rising dust cloud brought forward from chaos would blur his opponent from sight, showing him holding an ample fist. Taking the initiative of the clouds Kin would dart forward immediately both eyes cut off from each other stopping only a few meters before darting forward again. From the dust cloud his opponent would find the veil off dust intercepted by cow sized bed rocks thrown at great speed aimed to smash into his position. Subsequently a second would follow through and a third all aimed with less accuracy than the first, however each one would seem to be aimed at a second interval and so would kin whom would come following through as his aura tears the veil of dust, he would seem to run at nothing more than an average athlete pace but this would immediately change as soon as the second bed rock hits ground or the target as the case maybe. He would immediately fade from sight leaving behind an after image for all to see and admire. His quick burst would leave him crouched by his opponents left flank with his right elbow geared to slam into the crocks ribs. Should he be unguarded or properly stationed to the ground, he would find the force packed from such impact capable enough to send him flying, crashing him multiple times into the earth as he skies a good 15 meters outwards. However this would be the least of his worries. Should he be caused to have same skeletal strength like that of an average man he would also find both ribs and flesh caved in leading to a possible organ failure and at minimum a nasty dent. Round 1 for this match is now over! Judging will begin shortly and commencement of round 2 will begin on this date 1/2/2019. By 12:00AM (PST). Seated far north of the arena legs crossed with hands tucked into monkish robes, the monk sat quietly with both eyes closed as he tried so hard to maintain the flow of his reiatsu. A thin golden hew of light resonated around him with 5 marble balls hovering above bald head. His countenance spoke little about his thoughts or motives and from a distance only reflected peace. However, his reiatsu played a different tune and though restrained to the best of his capacity one could still feel from miles away the chaos and turmoil which disturbed the bald monk. If history served him right, it had been a while he’d found himself in such a situation as today, fighting man and monster in one shape and form. There weren’t many he’d know to boost as much presence as he did and even fewer he’d seen boost more. However, here he was today bound by fate to meet one again. It wasn’t a surprise he’d see one here today, in the mighty coliseum where monsters where rumored to dwell. However, he had only hoped he’d meet one a little later down his journey, in a reality he had looked forward to. All was now in the past, his convinced himself, there was no such thing as hope in hell. Scanning his mind through recent happenings, the events of the concluded round quickly played backwards within settled minds as if trying to pick up on each mili seconds that passed. What was it he’d missed, what could’ve caused the earth to cave as it did, he wondered. His opponent had clearly caved the earth in a simple show of might and still he was yet to discover what fueled the source of such tremendous collapse within the earth. Going further back into his memory lane he would remember having jittery legs but nothing too significant. For all he could tell the source of his opponents power save from his reiatsu was yet unknown. However, that was something he was sure to find soon enough. Just as if waiting for his signal or the conclusion of his thoughts, the echoing sound of trumpets and drums rang out loud, returning live into the once calm arena. Simultaneously, sparks of light colored with varying catchy hues and glows rose to the clear skies signaling the start of the second round. Startled by the coinsidence, The monk quickly opened his eyes to catch a glimpse of a rather wild atmosphere, with a little more security than they had before. The arena rose as if all had already lost their minds, forgetting just how terrified they were the last time something went wrong. Amused by the fragile nature of mans emotions, at least in respect to fear, the monk immediately took a hint from them, rising to his feet with little to no thoughts clouding his mind or focus. With his weight now settled ontop his foot, he would feel the sun peer into the arena, exposing major sections of where he stood. Two golden orbs would dazzle to reflect the sun, while the rest remained the same only hovering in the air with the rest. Taking a slight breath to settle him, the monk would make his first step forward with a noticed gathering of energy few inches beneath his right palm, which was now tucked out of his robes. The energy at first would take the appearance of senbo like blurs of white light racing from different direction towards his palm. They would also notice it merging together into a ball of white light above his palm. As the second passed what had started as a ping pong ball would expand into the size of a basket ball were it would come to its evolutionary end. The bright white ball would immediately adopt a golden glow before adjusting to take the shape of a lance 5 meters tall and a few inches wide. Its form would seem almost perfect yet unlike any lance or staff seen before. From a distance one could easily mistake it for a staff akin in resemblance to the monk personal staff; however a closer look would expose a wave of golden cutting tips, revolving round its edges. If time was given for a much closer analysis, a random drop of fabric from the monks cloak would be seen parting few inches away from its tips as the wind around it moved from its paths. 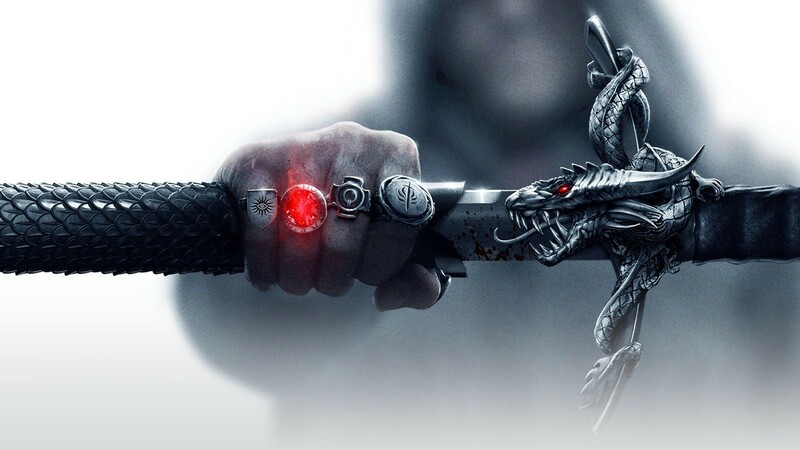 However, the monk would unconsciously wrap his palms around its length without traces of blood spewing from his fingers, while his eyes keenly scanned his opponent way about. Directly opposite the monk who took his position on the north end of the arena with legs crossed and hands tucked, Fuu remains standing far south of the arena lost in thoughts about his past and history. If his memory served him right, it had been a long time since he fought alongside a fellow shinigami but now only the thoughts of crushing that which stood before him was what flooded his head, it wasn't a surprise seeing one here today especially one of this caliber and rank for Fuu was as perceptive as they come in terms of everything related to reiatsu, it's use functions and all that came with it and he could very well sense an exceptional amount emanating from the monk that would place him on par with any captain meaning he wasn't to be taken likely. Going back a little into recent events, Fuu remains ignorant about the abilities of his opponent, besides the clearly visible BALLS hovering around his person he has not yet discovered the functions they hold for he surely knew very well they were not for fancy. And with the crocodile still swimming in a pool of his thoughts the loud sounds of banging drums and blaring trumpets returned him back to reality while simultaneously throwing life back into the once silent arena, with that being the signal for the beginning of the second round, the crowd rose in uproar despite being silenced barely minutes ago. With his mind fully back and focused on the opponent before him, Fuu watches the man devoid of any follicle of hair on his scalp stand upright ready for battle. With the sun spreading its reach into the arena and partially laying hands on the man before him to reveal two of his golden orbs and reflecting the sun rays, forcing Fuu to slightly squint his eyes while they adjusted to the influx of light as he takes a moment to calm his nerves with a slight breath. Barely moments had passed before the monk took his first step forward and the reiatsu senses of Fuu picking up on the gathering of energy around the bald man and the eyes of the croc having adjusted adequately could now observe keenly the gathering of white light beneath the right palm of the opponent, a beautiful sight at least before forming into a tiny ball comparable to the size of a tennis ball before rapidly expanding to the size of a basketball, a scene which further buttresses the beauty of reiatsu and the event that followed only showed how beauty can be transformed into a dangerous weapon with just the right manipulation. As the basketball transformed into a lance of sorts roughly 5 meters in height, a smile finds its way to the face of Fuu as he knew he had to respond in kind. Taking a step forward, Fuu stretches both arms in opposite directions as energy in the form of yellow lightning gathers around each outstretched index fingertip. The power of this spell was at its maximum because the incantation had been silently murmured from the moment Fuu took his first step from his initial position, a heated battle was about to ensue and he was prepared to place it all on the line while he employed the full extent of his speed as he disappeared from sight towards his enemy anticipating a clash between men. -Gathers yellow lightning at fingertips, then fires off as a bolt to pierce the target. Chant: "Scattered beast bones! Spire, Crimson Crystal, Steel Wheels! The wind if it moves, the sky if it stops, the tone of the spear striking fills the lone castle!" 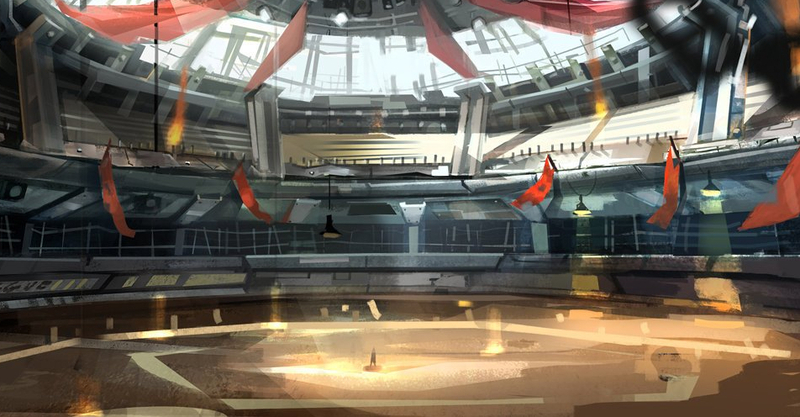 Barely few ft. towards the center of the arena with lance already at desired form, the monk’s eye sighted a life form far south of the arena in a trajectory directly opposite to him. His demeanor seemed as brazen as before with no extra addition to his physical arsenals or so he thought. With eyes doused to tame the effect of the sun rays on his retina, he focused more on the target quickly picking up on two spark of energy which came to life at the speed of a heartbeat. Its form looked akin to a kidou spell one of which he was unaccustomed to at least not at the level of training he had on that field. However, those were not the only thing that occupied his mind as he watched his opponent move forward, disappearing shortly afterwards in a sharp burst of shunpo which shot him directly towards his location. Interested to see where this takes him, the monk quickly vanished in return almost a second behind the first man vanished in shunpo, with aims to intercept him half way at the middle of the arena. Knowing well enough what his enemy boosted in terms of reiatsu, the monk would have naturally opted to keep his distance. However this was no time to play safe, as he had already noticed the clock ticking against him. Looking forth at his opponent as the distance grew thinner, a thin golden thread would travel up his wrist, creating a link between lance and his right fist. His somewhat careless dash would immediately reveal its purposes as just 20 meters away, Kin staff would go flying forward as if trying to intercept the opponent mid way, with the monk following quickly behind. The lance trajectory would aim directly at his opponent midsection; spinning sporadically with the sole purpose of parting his opponent into two should he avoid defending against it. Sequentially the monk would lock his left hand in a prayer pose before him as a slightly transparent wave of golden reiatsu build up around him threatening to envelope him in a 3 meter radius. On reaching his opponents inner circle at a 3 meters interval, the opponent would find himself slammed against a force-field capable of throwing a full grown man some few meters backwards. However, this was barely the least of his worries as he would also come to notice a tiny string attached earlier to the monks right fist at the point of contact which he would tug to redirect the lance trajectory toward the waist line of the monster. Description: Once shikai is activated. The first orb with the kainji Shield quickly emits a golden glow, bestowing upon Kin the ability to ward off most physical and energy based attacks by emitting kinetic discharges, strong enough to throw a full-grown man a reasonable distant backwards. This is however dependent on the person’s durability and strength as an equally durable person can be thrown 5-10 meters backward while a lesser individual suffers more of its effect. This ability can also be channeled into his staff allowing him emit such charges through it in any manner he sees fit. Description: Following the post activation of ability 1, the second ability unlocks, lending the second orb a similar golden glow as the first, bestowing upon Ryuu the ability to control surrounding Reishi as an extension of himself. As he swings his Zanpakutou(staff), he emits fine tuned razor sharp golden waves in the direction of said swing, capable of reaping through concrete hardened objects with ease. This in effect requires little to no charge up time, and can be positively influenced by a spiritually rich environment. Round 2 for this match is now over! Judging will begin shortly which will determine if there's gon' be a round three. Aye. Aye. Barely getting through a quarter of the arena the animal observed as the monk replicated his own actions by dashing towards his assailant, a reckless and brave move guaranteed for a big win, or a bigger loss. 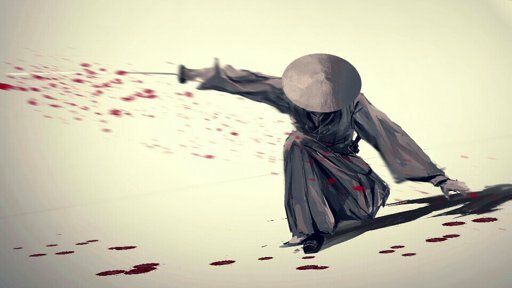 Impressed by the approach of his opponent towards his assault, Fuu was left no time to deliberate further as the monk took the first step in an attempt to draw first blood, with the distance between both men having thinned to nothing less than 20 meters the first attack was launched. The monk tossed forward his lance with great strength and accuracy, the moment the distance thinned to 30 meters Fuu tapped into his Zanpakutou abilities allowing him sense the tinniest vibration around himself in well over a 50 meter radius and follow keenly the trajectory of the lance as it charged towards him in hopes to burrow through the animal, well all hope was not lost as few was in no mood to die, at least not anytime soon. Raising his right hand with his index finger pointed forward, Fuu lets loose an already charged lightning spell of devastating effects the very moment the monk let loose of his lance in a bid to allow both attacks clash midway creating a veil of smoke and observe which attack would triumph over the two but unlike the monk, Fuu enlisted a different approach. Feeling and capturing every bit of vibration, Fuu could sense the steps of the monk still following closely behind his projectile, his eyes and having registered the monk and his reiatsu senses picking up a spike in energy around a 3 meter radius of the monk, the animal kept moving nonetheless until a distance of 10 meters was left between both combatants after which he would attempt to propel himself to his left in a full burst of speed under the veil of smoke to cover barely 5 meters all the while aiming with his left hand and firing without delay the nanosecond his feet touched the floor, with another Lightning spell now aimed at the bald monk, Fuu would want to ensure his attack hit its target by casting a different variant of the kido spell while his previous attack was just a measly 4 meters away from hitting its mark to release 6 bars of light that would pierce through the midsection of the monk in an attempt to hinder the movement and decrease further his chances to evade the incoming assault. -Summons six thin, but wide, beams of light that slam into a target's midsection, holding them in place. The Results are in for round 1: Kin Ryuu has been determined the winner by a margin! The Results for round 2: Kin Ryuu has been determined the winner! There will be no round 3 as a result of Kin winning both the first and second rounds. A full review will be provided at a later time upon request. @Slim, I’ll make note that since your last post was made after the match’s time limit was reached, it wasn't included in the review.